Contact Sue Ann Seitz (402) 829-9892 for more information. Ask us about our Internet Result Retrieval System where you can access your results via the Internet! Our Microbiology staff works seven days a week to provide the fastest possible turnaround time available! PCR: Midwest Laboratories utilizes the BAXTM (DuPont Qualicon System) for increased speed and accuracy of confirmation for some pathogens such as E.Coli 0157:H7, Listeria and Salmonella. 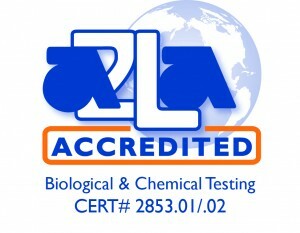 Midwest Labs is certified by APHIS for microbial analysis of export products.